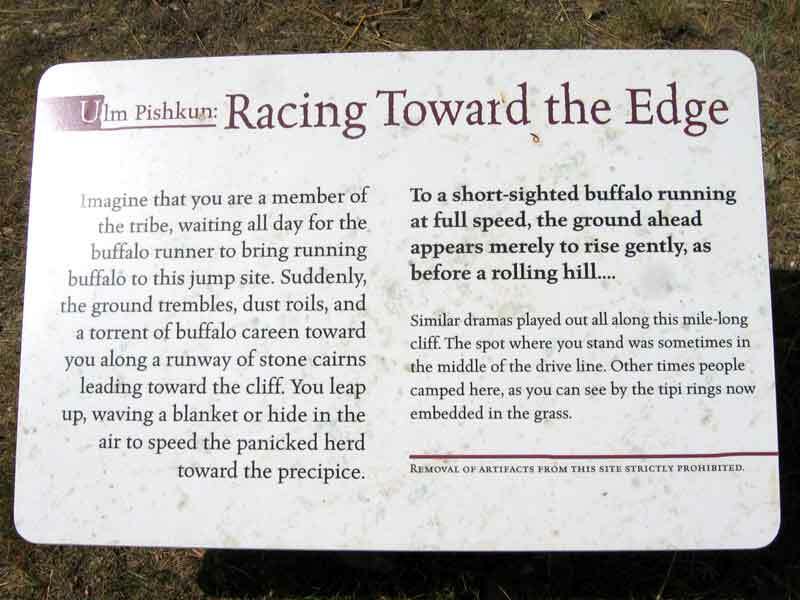 A "Pishkun" is a buffalo jump. 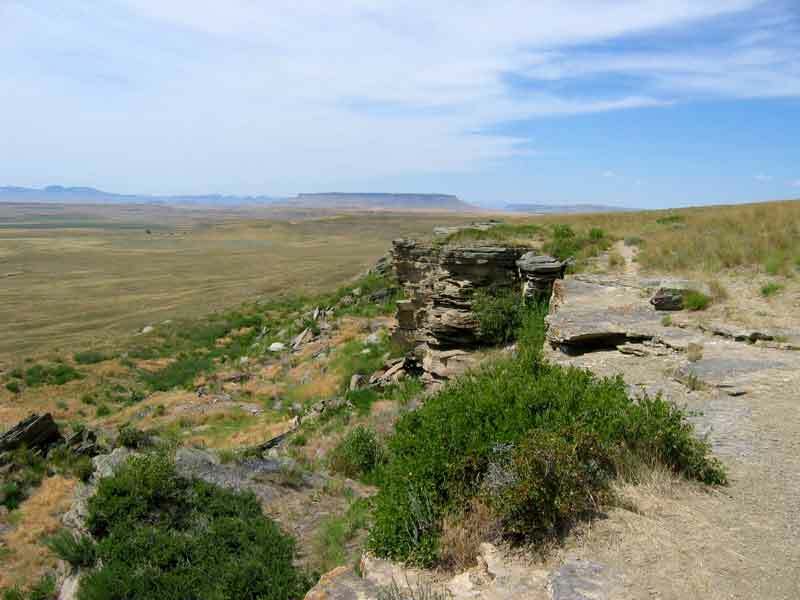 The local indians used to harvest buffalo by running them off a high cliff. Those buffalo that "jumped" were killed and then used by the indians for food and shelter. The indians could not exist without the buffalo, as they used the hide for clothing and shelter and the meat as food. In fact almost the entire buffalo was used to provide many of the necessities of life for the indians. 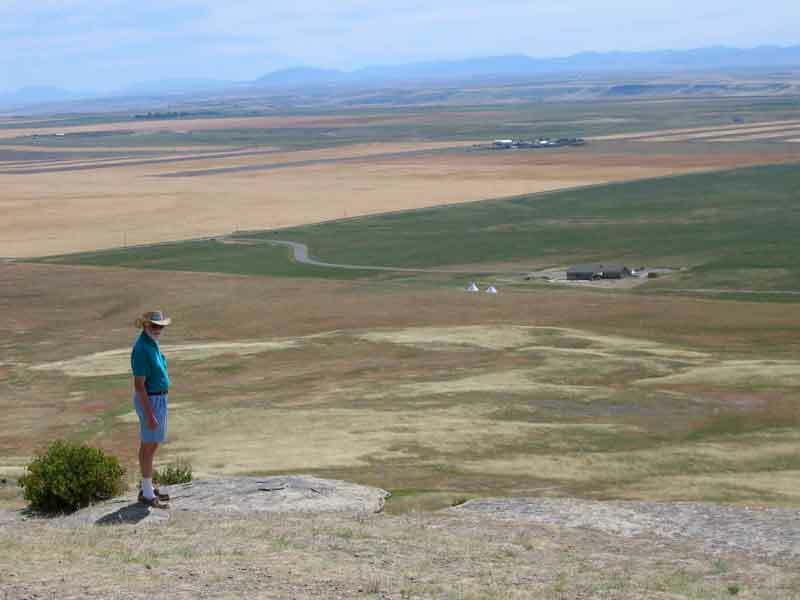 The picture is the Ulm Pishkun just south of Great Falls. 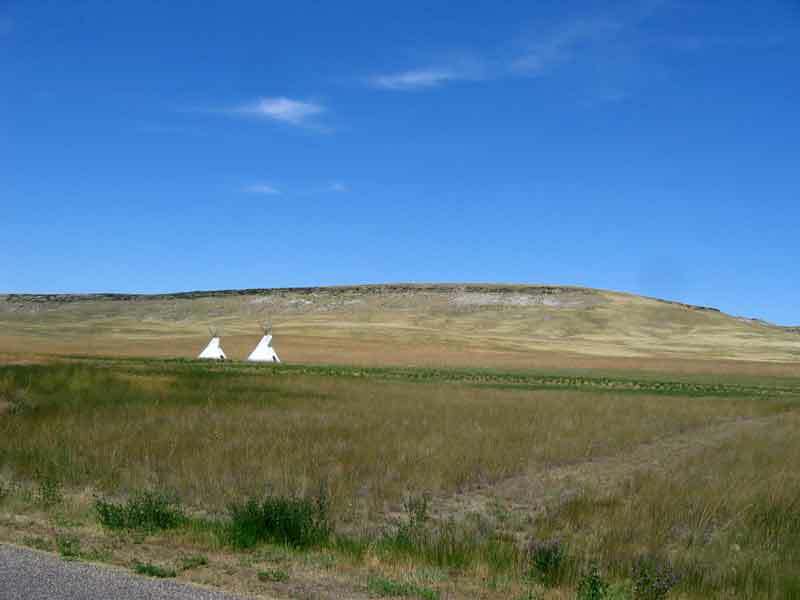 It is a State Park with an exhibit that explains the Pishkun and many of the associated activities of the indians and their dependency on the buffalo. Left: This is the top of the pishkun where the buffalo were forced to jump. Right: Looking back down to the Visitors Center. The reverse of the picture above.